Clint & Natasha. 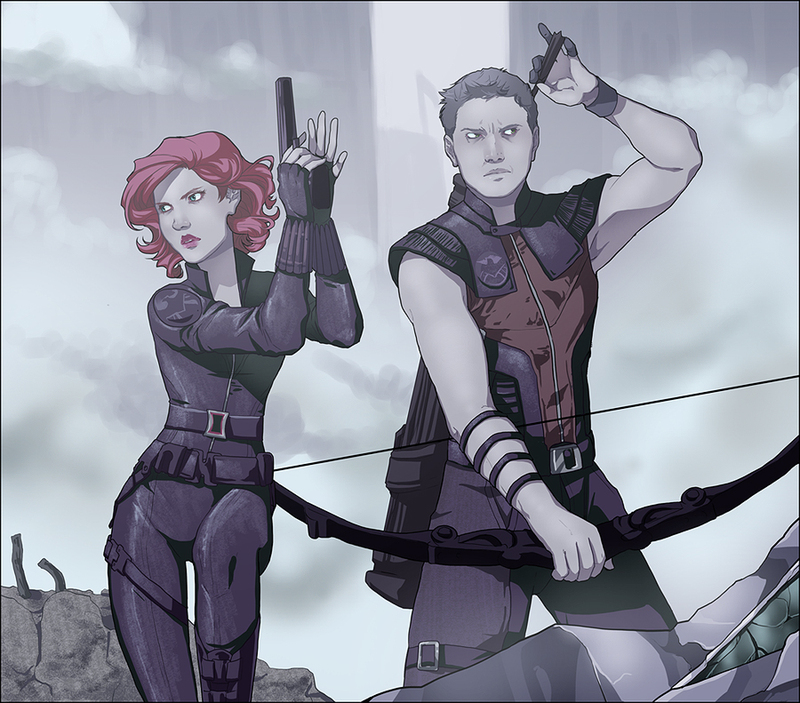 "I alisema I would redo it, I did…Black Widow and Hawkeye were my favs…. I just loved them. So yeah" - description under the drawing.. HD Wallpaper and background images in the Hawkeye & Black Widow club tagged: the avengers 2012 movie drawing hawkeye black widow clint barton natasha romanoff jeremy renner scarlett johansson.